The following article was originally published in The Water Report and is used with permission. Molly Lawrence, of Van Ness Feldman LLP, and Andrea Clark, of Downey Brand LLP served as co-authors. When it comes to how our communities address flood risk and protect populations and economies from flooding, no one government agency is in charge. Instead, there are multiple agencies at the federal, state, and local levels, and it can be difficult to figure out which agency carries out which responsibilities. The number of overlapping issues and authorities continues to grow as communities become more aware of flood risk. 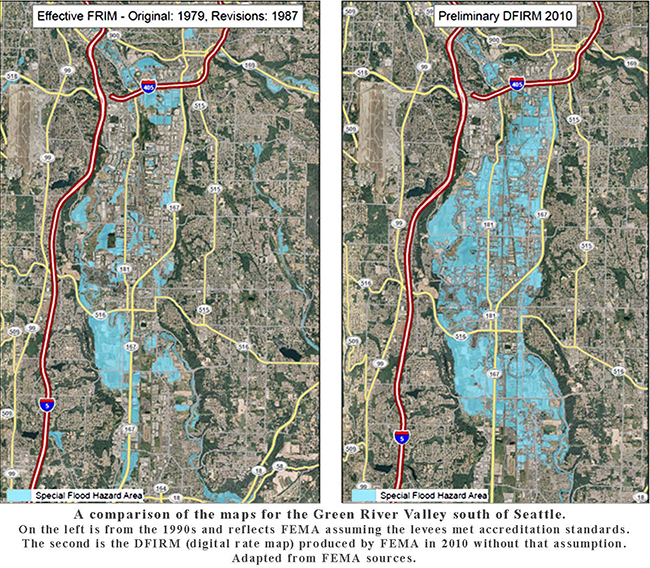 The goal of this article and an upcoming seminar in Seattle (more information below) is to shed light on these complexities and to improve how critical flood risk decisions are made. This article focuses primarily on the role of the federal government through the Federal Emergency Management Agency (FEMA) and the US Army Corps of Engineers (Army Corps). It also summarizes how FEMA has responded to claims that its implementation of the National Flood Insurance Program has not complied with the federal Endangered Species Act. There are two key federal agencies involved in floodplain management — FEMA and the Army Corps. FEMA is the federal agency tasked with disaster mitigation, preparedness, and response and recovery planning. As part of that mission, FEMA administers the National Flood Insurance Program (NFIP or Program). The NFIP offers federally backed flood insurance to homeowners, renters, and business owners in communities that adopt and enforce local development regulations that meet or exceed FEMA minimum requirements designed to reduce flood risk. FEMA is in the business of reducing flood risks by ensuring that homes in at-risk places are built to particular standards and insured for flood damage. Below we will discuss the NFIP program, its finances, and the politics surrounding it. The Army Corps is a federal agency and branch of the US Army focused on engineering of critical infrastructure — including flood risk management facilities and levee safety. The Army Corps: constructs flood infrastructure; assesses the safety and stability of flood infrastructure built by others; and permits local projects that modify Army Corps-constructed infrastructure. In addition to authorizing flood infrastructure projects constructed by local and state governments and levee districts, the Army Corps also constructs projects authorized through the federal Water Resources Development Act, as discussed below. States have varying levels of participation in floodplain management and flood control. Some states, such as California, have a developed system in which multiple state agencies: perform levee maintenance; fund or carry out levee improvement projects; establish adequate levels of flood protection; and issue permits for projects in floodplains. In Washington, counties and other local governments have assumed primary responsibility for non-Army Corps flood control facilities, with episodic support from the State. To support these efforts, a number of counties have formed Flood Control Zone Districts to take advantage of taxing authority to support construction of new flood infrastructure. Also, throughout the US, cities and counties are typically the primary land use agencies, controlling local land use decisions including placement of housing and other structures in flood-prone areas. The US Congress established the NFIP with the passage of the National Flood Insurance Act of 1968. As noted above, the NFIP is a federal program enabling property owners in participating communities to purchase insurance as a protection against flood losses in exchange for state and community floodplain management regulations designed to reduce future flood damages. Participation in the NFIP is based on an agreement between communities and FEMA. If a community adopts and enforces a floodplain management ordinance to reduce future flood risk to new construction in floodplains, the government will make flood insurance available within the community as a financial protection against flood losses. As part of its administration of the NFIP, FEMA publishes flood hazard maps called Flood Insurance Rate Maps, or FIRMs. The purpose of a FIRM is to show the areas in a community that are subject to flood risks. FIRMs map areas of the country into Special Flood Hazard Areas (SFHAs), which are areas with more than a 1% chance of flooding annually. FEMA uses the information provided in FIRMs to determine insurance requirements and rates within each mapped community. In areas mapped as SFHAs, property owners with federally backed mortgages must purchase flood insurance. The NFIP was never designed to be actuarially sound. Early in the Program, Congress authorized substantially reduced rates for “pre-FIRM” strictures — i.e., structures constructed before an area was first mapped in the floodplain under the NFIP. The Program also offers reduced (“grandfathered”) rates for certain homes and other structures that were constructed when the flood risk at the particular property was considered to be less severe than it is today. Moreover, even prior to this year’s historic hurricane season, Hurricanes Katrina and Sandy resulted in huge payouts, putting the NFIP about $24 billion in debt. The Program remains addled by unsustainable debt. The NFIP embodies the struggle between the Federal government’s desire to balance its books and the policy implications of substantially increasing rates, particularly on pre-FIRM and grandfathered properties that do not — and never did — reflect the true risk of flooding. Finding a way to reduce the cost and risk of “severe repetitive loss properties” — i.e., properties that flood frequently and for which NFIP has paid out repeated claims. Congress authorized FEMA to borrow from Treasury when needed, up to a preset statutory limit. Originally, Congress authorized a borrowing limit of $1 billion and increased it to $1.5 billion in 1996. 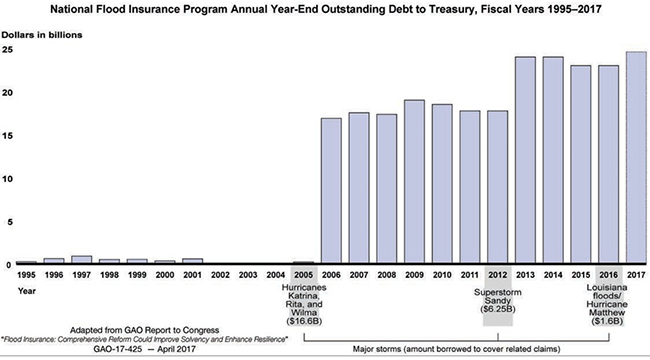 Following the catastrophic hurricanes of 2005, Congress amended FEMA’s borrowing authority three more times to more than $20 billion. After Superstorm Sandy in 2012, Congress increased FEMA’s borrowing authority to $30.425 billion. In January 2017, FEMA borrowed an additional $1.6 billion, increasing the total debt to $24.6 billion. Before 2005, NFIP was mostly self-sustaining, only using its borrowing authority intermittently and repaying the loans. The federal Water Resources Development Act (WRDA) is the primary vehicle through which the federal government authorizes water resources projects. The Army Corps’ Civil Works Program (Civil Works) is the nation’s largest water resources program. Through Civil Works, the Army Corps plans, constructs, and operates facilities for a wide variety of purposes, including: navigation; flood control shoreline protection; hydropower; water supply; and disaster response and recovery. The Army Corps’ Civil Works priorities are set by Congress through Water Resources Development Acts (WRDAs). 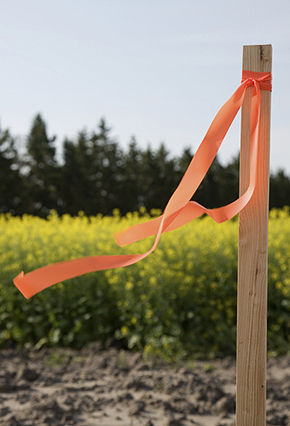 WRDAs authorize the study or construction of new projects, or modify existing projects. WRDA legislation is cumulative, and each WRDA builds on or amends prior WRDAs. Historically WRDA reauthorization legislation had been passed every two years, but recently there have been larger gaps between WRDAs. The most recent WRDA was passed in 2014 (the previous WRDA was in 2007). WRDA authorization is typically a two-step process, first requiring Congress to authorize a particular project, and subsequently to appropriate funding for such projects. Unfortunately, only a small fraction of the flood infrastructure projects that begin through the Army Corps’ Civil Works review process are ultimately authorized, funded, and constructed. In the past, WRDA bills would name and authorize funding for specific projects (also known as “earmarks”). Since 2007, however, the House has banned earmarks, requiring that future WRDA bills develop other methods for identifying and prioritizing funding for water resources projects. FEMA has been sued in Washington, Oregon, and California for failing to consider the effects of the NFIP on: endangered salmon; Orca (“killer whales”); and other anadromous (ocean-going) species. In both Washington and Oregon, those lawsuits resulted in the National Marine Fisheries Service issuing Biological Opinions under the ESA directing FEMA to substantially change the way it operates the NFIP in those states. [For more information regarding the Washington and Oregon NFIP Biological Opinions, please see Lawrence and Mandell-Rice, TWR #152, NFIP: Oregon Communities and Developers Face Significantly Heightened Standards following ESA Consultation on the National Flood Insurance Program (Oct. 15, 2016)]. More recently, FEMA issued a nationwide programmatic Biological Evaluation (November 2016) pursuant to the ESA in which FEMA concluded that its implementation of the NFIP had no effect on threatened and endangered species or their designated critical habitat. FEMA nevertheless appears poised to change its implementation of the NFIP to require local governments to “obtain and maintain documentation of compliance with the ESA” as a condition of issuing any development permit within the SFHA, and requiring local communities to document compliance with the ESA as a condition of approving any proposal to change a floodplain map. See FEMA, National Flood Insurance Program Final Nationwide Programmatic Environmental Impact Statement, (Sept. 2017). Over the last decade, the National Flood Insurance Program, as well as state and local regulations, have been continuously changing the way floodplain areas may be utilized. Ongoing floodplain mapping efforts are expanding the boundaries of established floodplains while at the same time the applicable regulations are becoming more restrictive and flood insurance rates are climbing. On December 8th, your authors will be co-chairing a seminar covering the latest developments in the laws and regulations controlling floodplains, including changes to the way that FEMA and other federal agencies are mapping floodplain areas, the evolving integration of the Endangered Species Act into the National Flood Insurance Program, and how some western states are integrating these changes into their own local regulatory programs. 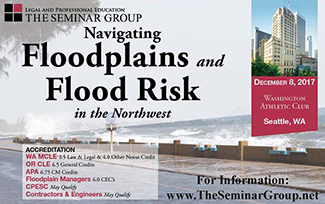 Please join us in Seattle on December 8th for an all-day seminar called “Navigating Floodplains and Flood Risk in the Northwest." Andrea Clark is a partner in Downey Brand’s Water Group in Sacramento, California. She counsels public agencies on a wide variety of regulatory matters related to water rights and flood control. Ms. Clark’s areas of expertise include: public agency law (including the Brown Act, Public Records Act, public bidding, financing, contracting, joint powers authorities, and elections); CEQA and NEPA compliance; state and federal tribal consultation for public works projects; water rights; and flood control liability. Molly Lawrence, Van Ness Feldman LLP, counsels public and private clients in all facets of land use law. Her practice includes: helping clients navigate divergent federal, state, and local requirements; drafting new and revised development regulations and development agreements; and advising clients through the legislative process. Over the last decade, Molly has developed a specialty helping both public and private clients address the ongoing changes in the regulations affecting development within floodplains. She consults with local and national organizations, including the National Association of Homebuilders and the National Association of Counties and their regional counterparts, on legislative and legal strategies related to the interface between the National Flood Insurance Program and the Endangered Species Act.